This post is by guest blogger J. Curtis Warner, Jr., Associate Vice President of Education Outreach at Berklee College of Music. Customarily noted as “Caf Shows,” these performances are often organized by the students and take place in the college cafeteria without cost to its audience. It is not surprising to hear bands of a very high caliber, and that’s exactly what we experienced last week. The Berklee City Music Network alumni band could have easily opened for a major act at TD Garden, the Staples Center, or the Wells Fargo Center, and I for one would have paid a decent ticket price to see them – main or opening act. If you know any of these young musicians mentioned above, commend them, because they carried the City Music banner proud and high, and are clearly demonstrating the value of a Berklee education… and they are not even out yet! 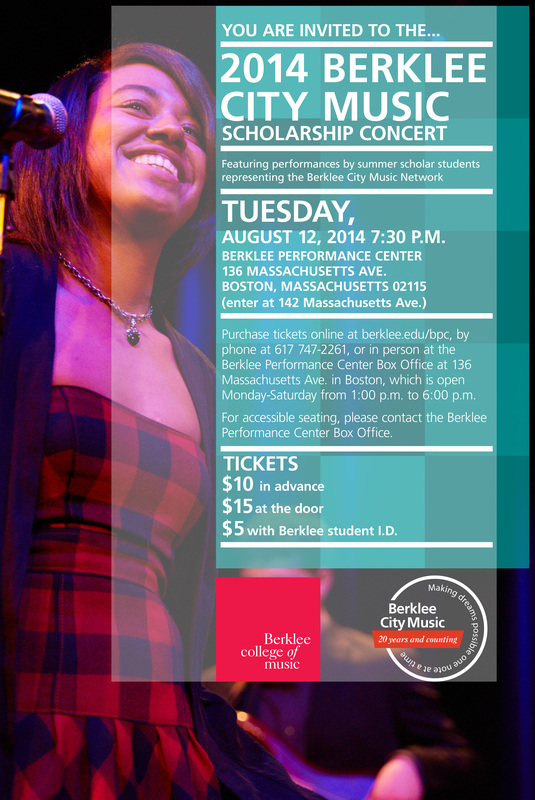 Tomorrow night is the annual Berklee City Music Scholarship Concert at the Berklee Performance Center at 7:30PM. If you are going to be in Boston be sure to get your tickets now for this incredible event. Over 100 Berklee City Music Network students will take the stage to perform rock, pop, jazz, hip-hop, inspirational, and R&B songs throughout the evening. You will not want to miss out on the scholarship presentation where students from our Network members will be awarded with four-year full-tuition scholarships for study at Berklee College of Music. Not everyone is able to be physically present at the show, so we invite you to watch the live-stream coverage of the performance. Below is the link to the stream. Be sure to tune in and enjoy the show! 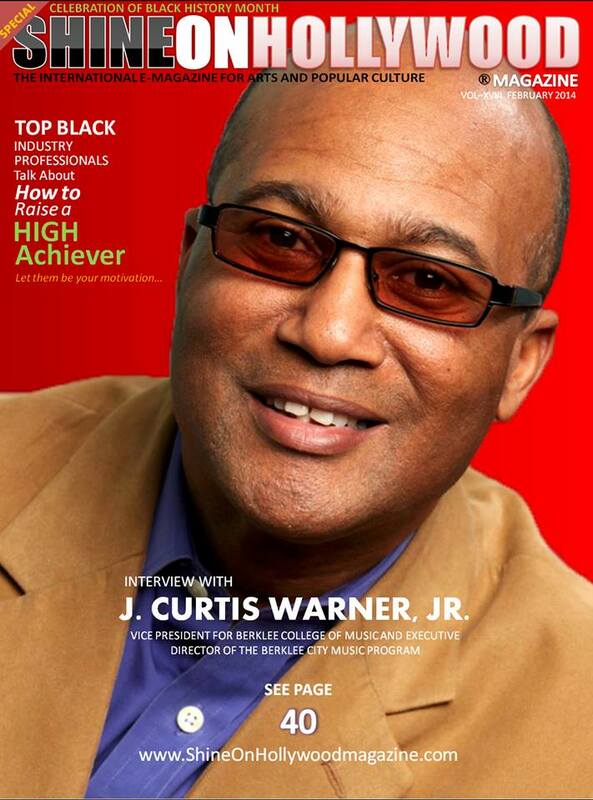 We are proud to announce that our executive director, J. Curtis Warner, Jr., is featured as a Top Industry Professional in Shine On Hollywood Magazine‘s celebration of Black History Month! Congratulations, Curtis!